South Florida (Florida in general) get ready for the World to be brought to your home town. 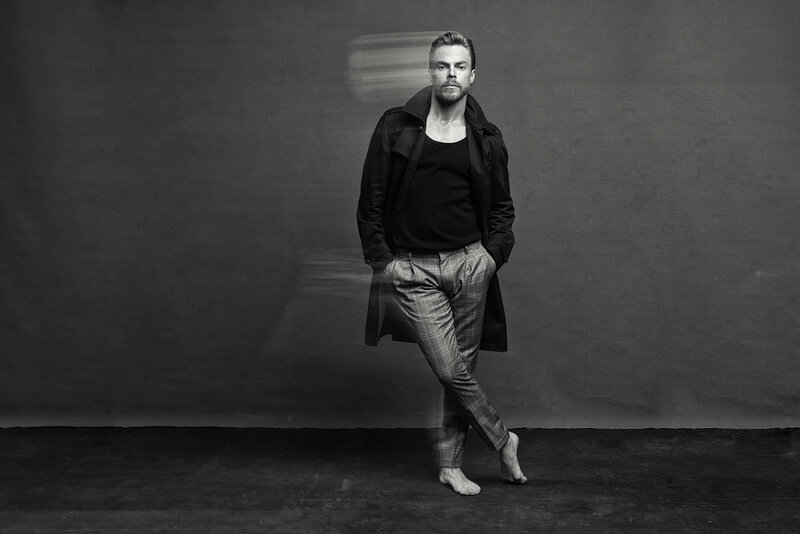 Derek Hough from the World of Dance television show is bringing his own show on tour with world class dances and champions. They will bring their amazing talent to Florida starting in Jacksonville at the Florida Theatre on April 7th, Clearwater at Ruth Eckerd Hall on April 8th, West Palm Beach at the Kravis Center April 10th, then wrapping Florida up in Orlando at the Dr. Phillips Center for the Performing Arts on April 11th. While rehearsing for this US tour, Hough who also was previously on the Dancing With the Stars television show, gave SFL insight on what to expect from his phenomenal show and how he reached this point in his career. SFL Music: What got you started in dancing? Hough: “Well, I have four sisters and my mom had us all doing things. I played drums, I did karate and my sisters did dance. I was just sitting in the parking lot and my mom was kind of like, ‘well, you know you should go in there and do dance instead of just sitting here in the parking lot.’ So, she pretty much made me go and I’m really glad she did” (he laughed). “Yeah, once I went inside and I heard the music and they had a really cool teacher and I got to dance with girls, you know. I was like ‘oh, this is actually pretty cool. Then, because I was a drummer already, I picked up rhythm pretty quickly. I picked up the counts and steps. I got to travel all around the United States and then eventually around the world. It was really cool and I just fell in love with it. SFL Music: You Joined a dance team? You auditioned for a dance team? Hough: “Yeah I joined the Studio, the youngest company. I think we were called “XS Energy” (he chuckled). SFL Music: oh cool. So, what is your favorite type of dance? SFL Music: From the clips I’ve seen promoting the tour it looks like you also sing? SFL Music: What part of the show will the singing be or will it be throughout, because I notice you play the drums in the show also? SFL Music: How did you get involved with Moses Supposes? (Tap dance originally form Singing In the Rain). Hough: “Well some of the dances I saw as a kid, it was like wow, so amazing. It’s just incredible the musicality of it, the athleticism were just so cool. So fun to watch. I choregraph a lot of dances. I also love to learn, I love just to learn dances. I’m a fan, of so It’s good to break it down and learn it, watch the video. Then I saw this guy do this animation video and I was like, oh man. This is perfect. It would be great to do like an animation of Donald O’Connor sort of dancing next to me and also a little sort of double homage to Gene Kelly as he was one of the first people to incorporate animation with dancing, that live motion with Jerry the Mouse. So, I thought it was a cool little double homage there. Hough: “All my dance influences are actually people that people wouldn’t know their names or know who they are because they were people in my dance studio that I would just like look and try to emulate. They’d be like world champion Latin American dancers practicing in the studio that I went to in London, in London England where I trained. I would be watching, like Oh man, I want to dance like them and I’d just kind of emulate their movements. But, as far as people that inspire me that people know are definitely Fred Astaire, definitely Gene Kelly. They were just so creative with their surroundings and their musicality and their artistry, athleticism was just really, really fun to watch. SFL Music: What inspires you when you create your choreographed dances? Where do you get your ideas? SFL Music: How do you keep in shape to take care of your body. I know Dancers who have hip injuries, knee issues, etc. SFL Music: What would you say the right foods would be? SFL Music: When you are judging you are very positive, you give a lot of really good constructive criticism. What is it in particular that you would like the up and coming dancers to learn from you, do you have kind of a goal? What would you advise? Hough: “Yeah, as you can see, I’m a big fan of anybody who steps on that stage because I appreciate the passion that they put into what they do. I think what we see is a very small portion of how much work goes into what they do. So, my appreciation is overflowing for anybody who puts themselves out there like that. I guess my piece of advice would be to remember why you do what you do. You know I think it’s important especially for the young kids, because you can get burnt out early. I know I got to the point where I kind of did. I was like 16 years old and I was like, hmm I’m not sure about this dance thing. I was training so hard, was competing around the world. I was burning the candle at both ends. I was 16 years old and I was like wow, this isn’t fun anymore. Then there’s this conscious shift where it’s like, ok let me change my perspective, my entry into this because it’s changed. My love for this where it first began has changed into something else. So, it’s just remembering why you do what you do and why you did it in the first place and for me I loved it because I brought my family together. We were dancing in the living room and we listen to music and we were moving our bodies and having a good time. I think that makes it more sustainable so you don’t burn out, where it’s like go hard, go fast, then you burn out. It’s reminding yourself what’s the reason I’m doing this in the first place. Which is like for me going on tour, that’s where I started. My reason is I love sharing. I love sharing and having this relationship with the audience and then back and forth, and just sort of working on something and then presenting it to somebody. It’s just such a great feeling and it just brings me a lot of joy. Don’t forget the joy of it all. You know what I mean? It’s easy to get sort of burnt out if you forget about that. That’s a very general thing I would say. Of course, there’s lots of specific things I could go into, but I’m sure we’d be here all day if I did that so,” (he laughed). SFL Music: That’s another interview, right? SFL Music: You mentioned you are close with your family. Do you think that helps with your career and your perspective? SFL Music: Now does anybody else sing or is it something you just picked up? Where you professionally trained? Hough: “Yeah I went to school in London. I lived there for ten years, went to school there. The school I went to was a theater arts school We did singing every day and performances and plays and all those different things so theater has always sort of been in my life, even from a young kid. People know me as a dancer and a choreographer, so it’s fun to be able to share it with them, a different side that I haven’t really sort of played out there as much as I have the dance. It’s always fun to hear their response to that you know whether it be good or bad” (He laughed). SFL Music: Well it’s been very good. Is that what you originally wanted to do? SFL Music: Is there anything specific that people can look forward to with this show? SFL Music: Where did the dancers come from? Do they come from all over? SFL Music: Was there anything else you want south Florida readers to know?